Canada's international development minister has pledged her support to a Dutch-led effort to provide funds to international organizations providing abortion services. The move comes after U.S. President Donald Trump revoked funding for those organizations. 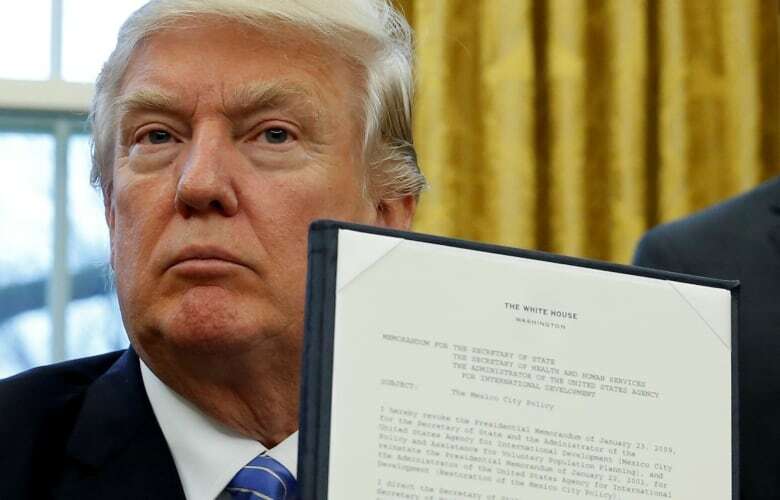 Canada will increase its funding to international organizations that provide abortion-related services after U.S. President Donald Trump signed an executive order blocking American funding for those services. In an interview with As It Happens guest host Helen Mann on Friday, Minister of International Development Marie-Claude Bibeau said the Liberal government would support a Dutch-led initiative to fund international programs supporting women's reproductive health. "I think that restricting the access to abortion does not reduce abortion. It only increases the number of unsafe abortions and it endangers the lives of women," Bibeau said. Dutch International Development Minister Lilianne Ploumen said earlier this week that as many as 20 countries had indicated their support for the effort to replace the $600 million U.S. in funding that will be lost because of Trump's decision. "Yes, we will support the [Dutch] effort," Bibeau said. "Will it be directly through the fund or indirectly, this is not clear yet. But, I assured my colleague, the Minister from the Netherlands, that we will increase our funding to sexual and reproductive health and rights. This is definitely a very important priority for our government." Bibeau declined to say by how much the funding would increase. 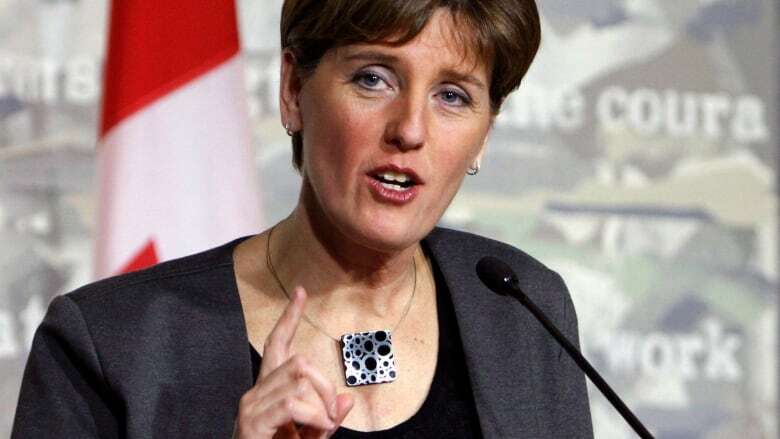 Ploumen asked Bibeau for Canada's support during a phone call on Wednesday, which Bibeau described as productive. "It was an easy pitch because we both agree on the importance of women empowerment, and that sexual and reproductive health and rights is so important," Bibeau said. Bibeau's announcement in support for the Dutch effort marks a split with the Trump administration, and comes on the same day that American pro-life activists gathered in Washington for the annual March for Life. In a tweet sent Friday morning, Trump said the march had his "full support." The <a href="https://twitter.com/hashtag/MarchForLife?src=hash">#MarchForLife</a> is so important. To all of you marching --- you have my full support! 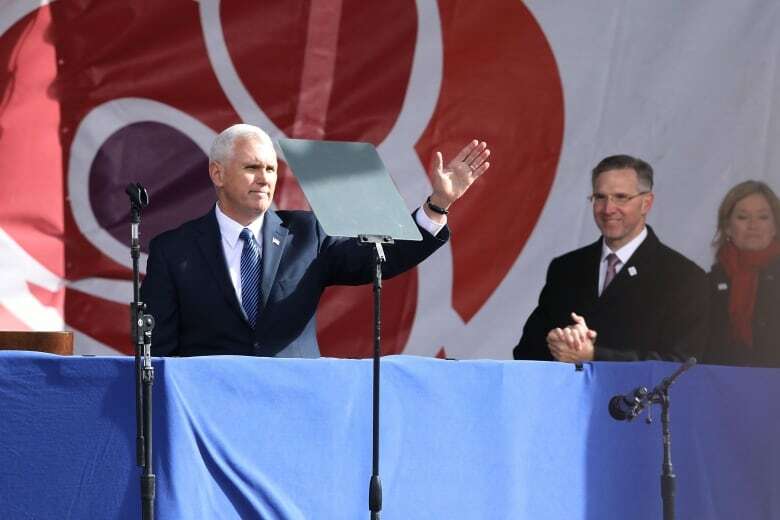 Vice-President Mike Pence spoke at the rally, where he declared that "life is winning again in America." Asked if she was worried about angering the American government with her vocal opposition to their policy, Bibeau said she was not. "Women's rights is too important for us to make a compromise on that," she said. Bibeau is already looking ahead to meeting with her American counterpart. "I believe we will be working together on some subjects and we will be less complimentary on others. On this one, we definitely don't agree," she said. In signing the executive order on Monday, Trump re-instated a rule known as the Mexico City Policy, originally established by Republican President Ronald Reagan in the 1984. The policy has been repealed and reinstated several times since then by alternating Republican and Democratic governments. For more on this story, listen to the interview with Marie-Claude Bibeau.